As political leaders in Japan pay close attention to how U.S. President Donald Trump will go in office, so, too, are interpreters who have had a nightmarish experience translating his disjointed speeches. “He rarely speaks logically, and he only emphasizes one side of things as if it were the absolute truth. There are lots of moments when I suspected his assertions were factually dubious,” said Chikako Tsuruta, who routinely covers Trump-related news as an interpreter for CNN, ABC and CBS. “He is so overconfident and yet so logically unconvincing that my interpreter friends and I often joke that if we translated his words as they are, we would end up making ourselves sound stupid,” Tsuruta, who is also a professor of interpreting and translation studies at the Tokyo University of Foreign Studies, said in a recent interview. Like Tsuruta, English-Japanese interpreters recall being dumbstruck by Trump’s disregard for logic and facts as well as his unabashed use of a litany of sexist and racist remarks during the election campaign. This challenge, the likes of which they claim was not an issue when interpreting for renowned orator Barack Obama, Trump’s predecessor, has spotlighted a long-standing dilemma dogging their profession — whether to sanitize the words of a controversial speaker. Opinions are divided, with some saying Trump’s colorful language should be neutralized, while others are adamant interpreters should not hesitate to translate him exactly as he sounds in English. The difficulty translating Trump, they say, has little to do with his use of language. In fact, it is no secret that “Trumpese” — as his phraseology is called — is by and large simple, characterized by repetition, easy grammar and elementary-level vocabulary. A “readability analysis” of presidential campaign speeches by researchers at Carnegie Mellon University’s Language Technologies Institute (LTI) revealed last March that Trump’s lexical richness was the lowest — at seventh-grade level — of his rival candidates and past U.S. presidents. The study also described his grammatical level as grade 5.7, the second-worst after George W. Bush, who barely topped the fifth-grade level. In addition, the businessman uncharacteristically used a teleprompter and read from a script, which made the Jan. 20 speech flow coherently enough, the professor noted. But it’s when he speaks off-the-cuff, Tsuruta said, that interpreters are most likely to find themselves scratching their heads, with Trump frequently jumping from one topic to another and gravitating toward insults and vulgarities. 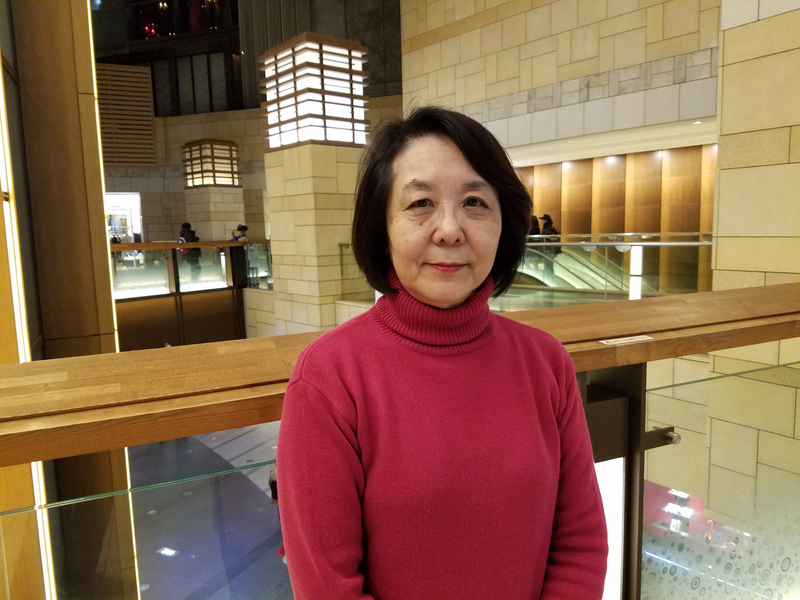 Miwako Hibi, a broadcast interpreter of more than 20 years, said it was “very hard” to follow Trump’s logic — or lack thereof — particularly his tendency to mention proper nouns out of context. She still remembers the dread she felt as she was translating live Trump’s victory speech on Nov. 9, when the president-elect — apropos of nothing — made a reference to “Reince” and “secretariat” without spelling out who and what they are. “When he suddenly said ‘Reince is a superstar,’ I was literally thrown off. Only after the camera zoomed in on the face of a ‘Reince’ did I realize who Trump was talking about, and I hastily added, for the sake of the audience, that it’s actually ‘Reince Priebus, the Republican National Committee chairman,’ ” Hibi said. But she wasn’t so lucky with “secretariat,” which she mistakenly thought was Trump’s alternate way of referring to Reince. Trump’s incoherence and apparent disregard for context are not the only source of headache for interpreters. 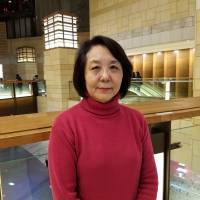 To retired interpreter Kumiko Torikai, his questionable morality, as evidenced by a string of misogynistic and racist remarks that dogged his election campaign, is a bitter reminder of why — after 20 years — she quit the profession in 1986. 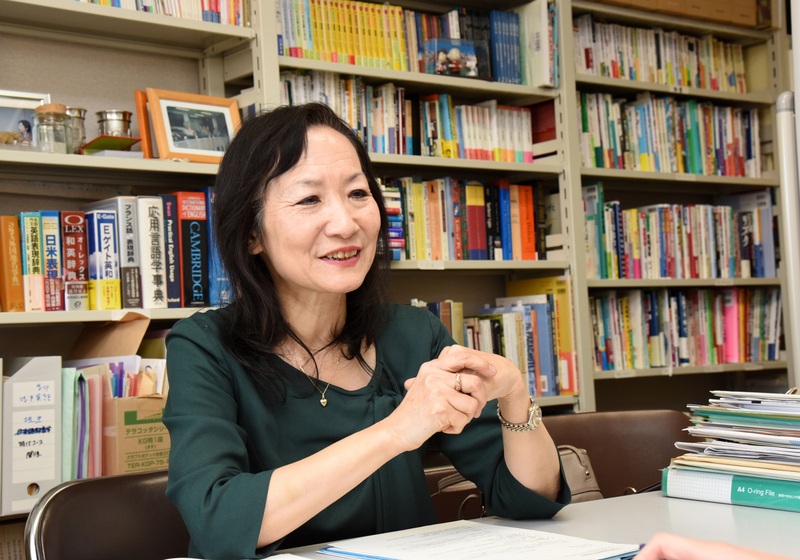 “As an interpreter, your job is to translate the words of a speaker exactly as they are, no matter how heinous and what an outrageous liar you find the speaker to be,” Torikai, who has a Ph.D. in interpreting studies, said. “If Trump is not making sense, you don’t get to make sense, either. If his language is coarse, that’s the way you translate him,” she said. 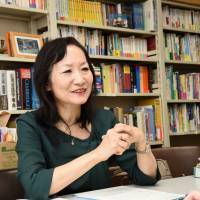 Now a professor emeritus at Tokyo’s Rikkyo University, Torikai said she was loath to imagine herself interpreting for the new president, whose sexist and nationalistic attitudes are anathema to her. “There is nothing he says that I can agree with. Frankly, I think he is a very dangerous person who never should’ve become the U.S. president in the first place. It would be absolutely intolerable for me to lend my own voice to disseminate his views,” Torikai said. Her insistence that interpreters keep their speakers’ foul language intact, however, may be easier said than done, particularly for broadcast interpreters, who are under constant pressure to sanitize swear words. Hibi, for one, said her ultimate responsibility boiled down to “not offending or making (the audience) uncomfortable,” and to that end she tried to “neutralize” foul language where possible. Atsushi Mishima, a broadcast interpreter and associate professor at Daito Bunka University, also said he had mixed feelings about how to translate Trump’s language. Although agreeing that an interpreter’s primary objective is to “speak as if they were the speakers themselves,” he said other factors sometimes took higher priority. “If a certain word is deemed a banned phrase per the policy of a TV station I translate for, I usually tone it down, although I do make my best effort to retain its original impact,” Mishima said.